The next batch of UEFA Champions League quarterfinal matchups include Barcelona v. Roma and Liverpool v. Manchester City. According to USA sportsbook sites, City and Barcelona are projected to advance. 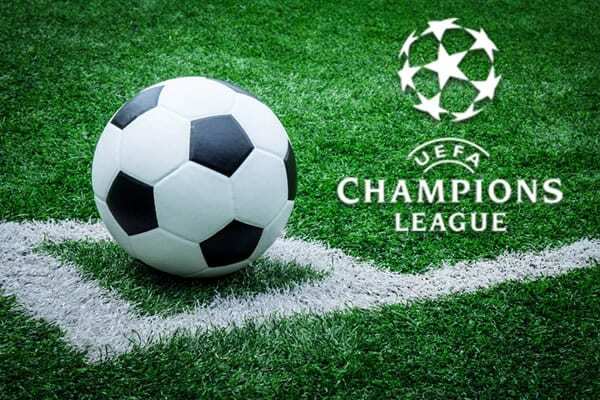 It is true that Liverpool and Roma are on the lesser side in terms of quality with the remaining teams, but both are playing well and have certain advantages that could help them through. City head to Anfield to play Liverpool. The last time these 2 played at Anfield Liverpool stole the win in an electrifying 4-3 performance. The keys to that performance were their attacking trio of Sadio Mane, Roberto Firmino and Mohamed Salah. The pace of these 3 is unmatched by most defenders, and City are lacking in their left-back position. This frees up Salah to penetrate the wing and run straight on goal. Liverpool acquired defender Virgil van Dijk in the winter transfer window, adding some size and strength to their back line. Van Dijk’s height adds to their threat in the air, especially from set pieces. Perhaps the most vital aspect of their game is their pressing. Manager Jurgen Klopp launched an aggressive press against City in that game. City looked flustered and constantly on edge. Expect Klopp to follow similar tactics in this Champions League fixture. City are without their leading goal scorer in Sergio Aguero, but Gabriel Jesus is back in the lineup and finally has a chance to sign. The Brazilian player looked good in recent international friendlies and hopes to translate that success to the European stage. City already have a strong squad in Kevin De Bruyne, David Silva, Raheem Sterling, Bernardo Silva and Leroy Sane. These players cohesion is wonderful to watch and has helped them nearly clinch an English Premier League title this year. City’s weakness is in their defense, but luckily they have a strong keeper in Ederson. Barcelona plays host to Roma in their Champions League quarterfinals matchup. The squad played a poor match against Sevilla in La Liga recently, but they have quality players that can switch gears for the Champions League. With Lionel Messi in the lineup, there is always an X-factor that can turn a game on its head. Ousmane Dembele adds a young spark and has been playing well with his increased chances. Luis Suarez, once one of the leading scorers in Europe, has been quiet this year, however he can make an impact in the game and will be watched by Roma’s defense. Roma is having one of the better seasons this year, both domestically and in Europe. Edin Dzeko, the veteran striker, is in fine form and has tallied 4 goals in the Champions League this year (in addition to his 14 Serie A goals). He is also a threat in the air given his height. Defenders Kostas Manolas and Federico Fazio join him as towering options on set pieces. Aleksander Koloarov provides the assists with his exceptional free kicks. There is also Radja Nainggolan, Cengiz Under and Daniele De Rossi to keep an eye on in the midfield. Soccer betting analysts predict that City and Barcelona will advance. This rationalization is simple given their performances this season. Liverpool have a better chance of pulling off the upset than Roma, however the Italian side can win if they play tactically. Set pieces will be huge in both games. Tune in at 2:45 p.m. EST to see which teams win the first leg.